If you’re considering a security camera installation for your business, the chances are good that you understand the value of security. You know that the world can be a dangerous place. Break-ins happen. Unauthorized building access is all too common. Even employee theft is more common than most would prefer to think. All of this isn’t to say that you should live in fear – you shouldn’t have to. But it is to say that you should conduct your business in a way that acknowledges the reality of risk. In other words: be prepared. With that in mind, our goal is to help you maximize the value of your business’ security camera setup and installation so that you can be sure you’re properly protected. As system integrators with decades of experience in implementing surveillance systems, we have a firm handle on the best practices that ensure a trustworthy installation – and we know the common mistakes that undermine the effectiveness of the setup and leave businesses vulnerable. With this knowledge in-hand, and with proper security camera installation, you can have peace of mind knowing that your business is protected. 1. Choose high video quality. The whole purpose of a security camera installation is to have surveillance of your premises. That doesn’t mean anything if the quality of video is too poor to actually tell what’s happening at your site. That seems obvious (and it is), but poor video quality happens for a reason: budget. Lower-quality cameras are often cheaper. But if they aren’t adequate in serving their purpose, what were intended to be “affordable” options can quickly become money wasted. Always go HD. In today’s world, high-definition footage is assumed. Don’t dip below this threshold if at all possible. Get night vision. Are your cameras equipped to cover distances in low light? Failing to consider nighttime capabilities could leave you with a solution that’s vulnerable when certain crimes are more likely to occur. Consider frame rate. How many frames per second will you need to ensure footage quality? This may vary depending on lighting levels and location, but we’d recommend at least 15 fps. Consider shutter speed. A shutter speed that’s slower than your frame rate can lead to blurred moving objects and loss of frames in recordings. Make sure that your shutter speed is appropriate for your frame rate. 2. Position your cameras for necessary coverage. Along with image quality, camera positioning is a vital component of ensuring proper security camera installation. After all, you can have phenomenal image quality – but if you don’t have vision at the scene of an incident, all of that quality is useless. The most common consideration in determining placement of cameras is the location of your building’s entryways and exits. This is where incidents are most likely to occur. Additionally, though, consider other locations of high traffic. Are there certain hallways or common areas where incidents could happen? Parking lots are often an area of concern, for example. Next, ensure that the footage being capture can also be adequately stored. If footage of an incident isn’t preserved, it can’t impact the response. Image quality will impact the amount of storage needed. It will be important to find a balance between ensuring adequate quality (in terms of frame rate and definition) and sufficient storage. Additionally, timing is an important factor – footage could be set to record only via a motion trigger, for example, or at certain hours during the day or week. Finally: will footage be stored on premise? Or in the cloud? Either way, it’s also important that stored footage is properly secured, so that it can’t be tampered with or destroyed. This hasn’t always been a necessity, but in today’s world of remote working and digitization it’s becoming increasingly important: the ability to access footage from anywhere is a major bonus. If access to footage is only available on-site, the logistics of monitoring become much more difficult. Livestreaming is increasingly important, too. Many security camera setups allow for remote monitoring, often in real time. This can be linked to building access control, so that building administrators can receive a livestream of entryway footage to their phone upon people entering or exiting the building. Alerts can also be configured for suspicious activity, allowing for up-to-the-minute response. 5. Consider how monitoring will work. Finally, no security camera installation is complete without a plan in place to monitor the footage. Will there be an employee responsible for monitoring feeds? Is there a service provided with the solution that’s capable of remote monitoring? Will there be monitoring at all? Don’t invest in a security camera solution if you haven’t considered how monitoring should work. So, there you have it: consider video quality, camera location, storage needs, accessibility, and monitoring, and you’ll be well on your way to a proper security camera installation that will keep your facility secure. And, if you want to be sure the job’s done right, get in touch with us. At Medlin, we’re experts at helping organizations with security camera installation, having worked with companies large and small to ensure that buildings work the way they’re needed to. And, with extensive experience in systems integration, we can make sure that your security systems play nicely with the rest of your systems, too. 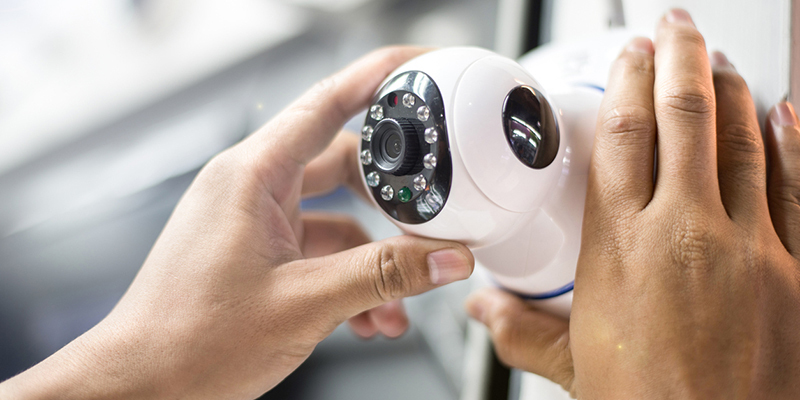 When it comes to security camera installation, we can offer the support you need to make sure that your system is built to your facility to maximize efficiency and security. We can help you choose the right solution for your facility, and then we can implement it so that it works the way it’s supposed to. Your security is important. Don’t leave it to chance. If you’d like to implement a security camera system at your facility, let’s talk.